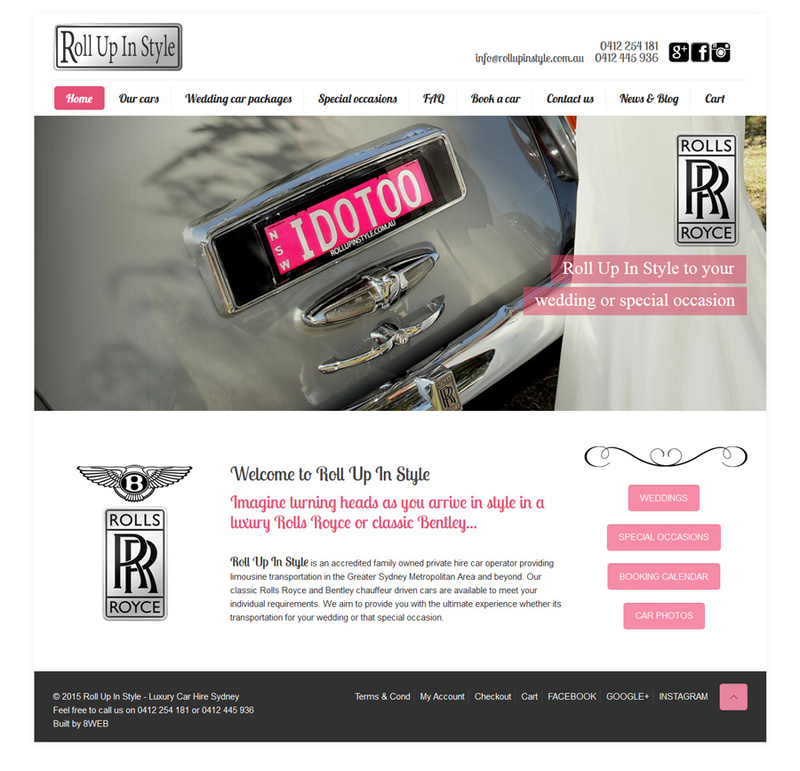 This was a redesign project from an existing WordPress site. 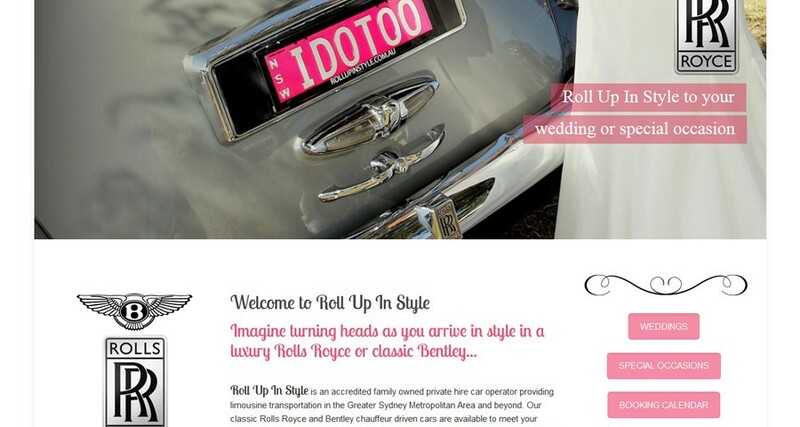 The client was referred to us by one of our existing website and hosting clients. We met with owner of the business in person and carefully listened to their needs, their issues with the previous site and their vision for the future. Our aim was to establish and be clear about why they were unhappy with their current site and what they would like to achieve with the redesign. 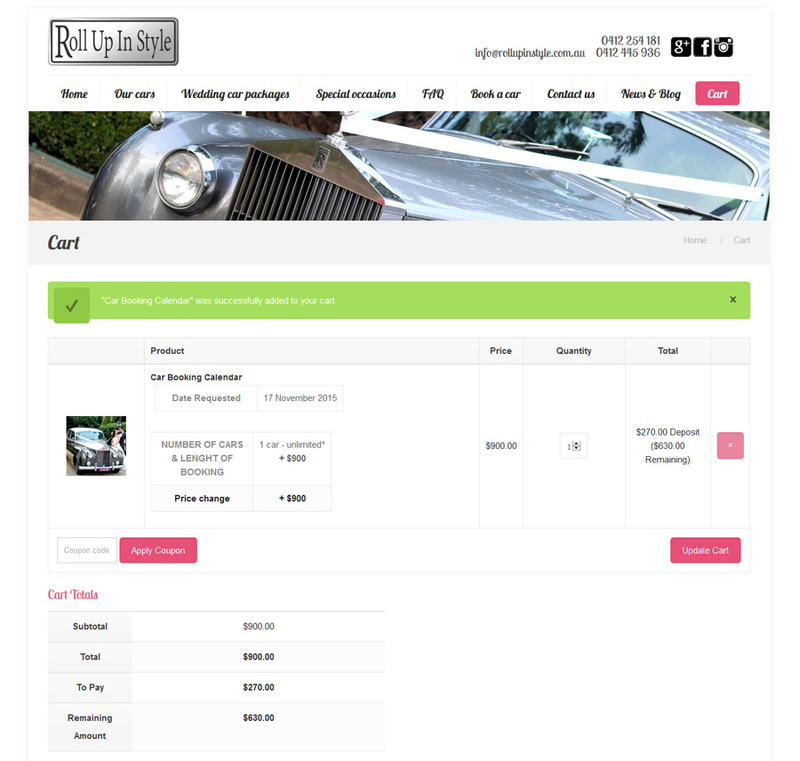 The project involved a total redesign of the site, adding of photos and displaying the cars in a more prominent way, making the site more mobile phone friendly and, importantly, adding a booking calendar that is linked to ecommerce plugin with the capability of accepting deposits. We have been able to provide some new photography to the site as well as use photos from previous photo shoots. 8WEB continues to provide website hosting, website maintenance and ongoing support to the client. Perhaps we will get a ride in one of the gorgeous cars one day? 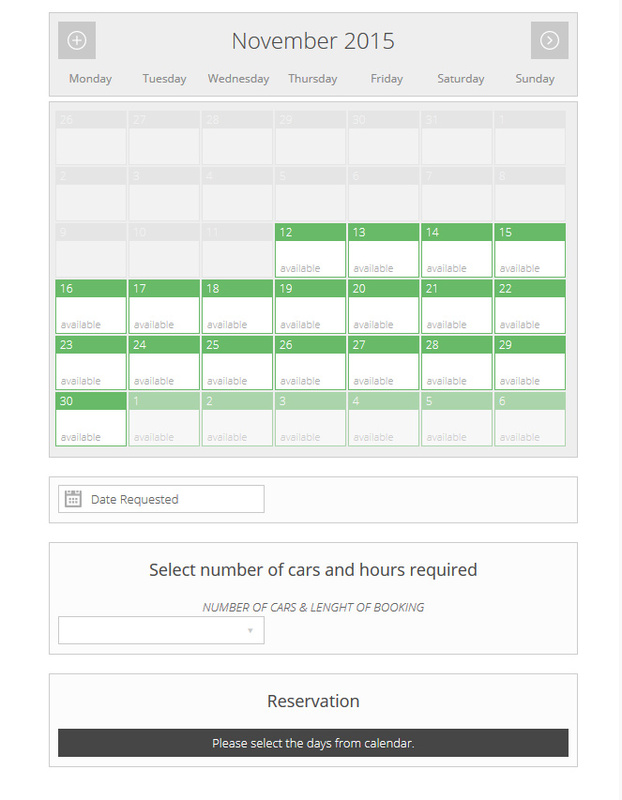 The online booking calendar enables the future bride or groom to select, from the days available, number of cars required for the wedding and proceed to to pay a deposit to confirm booking. In order to secure a boooking, the website we created is utilising an ecommerce plugin with an extension that allows for accepting deposits. The ability to accept a deposit shows commitment from the client side and justifies “blocking off” dates for the business owner.